The growth of e-commerce has changed how companies conduct business. A large portion of company sales are now directly driven from online ordering. It is essential for businesses to provide customers a reliable, easy to use, intuitive, protected online shopping experience. OMA Comp develops and creates secure new shopping carts as well as updates customers existing carts so that businesses gain maximum transactions from their customers while customers benefit from a secure, enjoyable and user friendly experience. 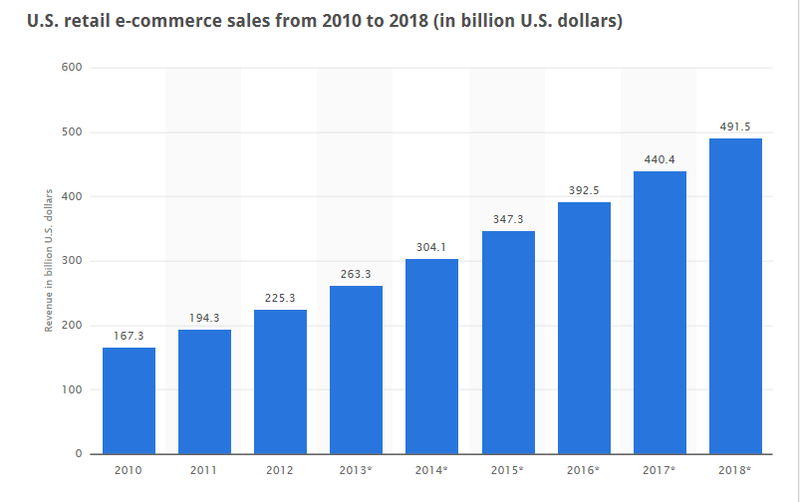 The statistic gives information on the retail e-commerce revenue in the United States from 2010 to 2012 with forecast until 2017. In 2012, U.S. retail e-commerce sales amounted to 225.5 billion U.S. dollars and are projected to grow to 434.2 billion U.S. dollars in 2017.